I had heard the Supreme Court clip from this episode was not to be missed, and that's true. Do not miss this episode's Supreme Court clip. It's why this show exists. This episode will in fact make your angry at a donkey. 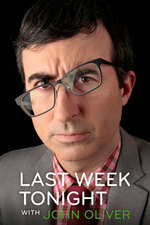 "This morning, Mohammad “FNU” Usafi, the Afghan Translator Featured on Last Week Tonight with John Oliver, safely arrived at San Francisco Airport."